Since 1935 SUN OIL COMPANY (Belgium) N.V. has been producing and marketing SUNOCO branded lubricants. These are all based on formulations and licences of SUN COMPANY U.S.A., one of the largest producers of lubricating oils in the United States operating for over 100 years. SUNOCO is well-known for its reliable quality products. Its quality procedures have been approved by Lloyd's Register Quality Assurance Ltd. to standard ISO 9002. 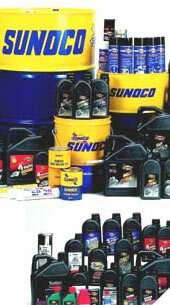 SUNOCO – RACING FUELS – Sunoco performance products is the largest manufacturer of racing fuel in the world. More racers choose Sunoco than all other race fuels combined. Official fuel of Nascar. SUNISO - A comprehensive range of refrigeration oils providing optimum performance in refrigeration and air conditioning systems that are charged with current refrigerants such as chlorine-free R-134a, and HFC replacements for R-502 and R-22. ICER´s product range covers disc brake pads for passenger cars, light commercial vehicles, 4WD, MPV´s, motorcycles, trucks and off-road machinery. 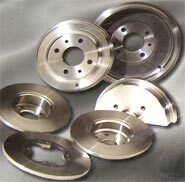 Brake linings for trucks, brake shoes for passenger cars, brake shoes and brake blocks for use in railway, and special friction pieces for industry. We offer a complete range of Brake and Clutch Repair Kits for all major auto brands. Casite Automotive Additives and Chemicals offer a vast range of products to help you protect your automobile and increase performance. Products offered by Casite includes Fuel Additives, Aerosols and Performance Additives. The DAMPO shock absorber is a winner for all vehicles. Improved vehicle performance, giving them a constantly perfect position/alignment and adherance. 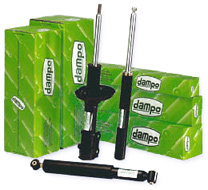 The DAMPO shock absorber gives the certainty of a guaranteed name. Osrav Alfeo Moret S.p.A. has been producing and distributing articles for the Suspension System aftermarket for over 25 years. Top Line is the "Linea Ammortizzatori Elaborati" (Perfected Shock-Absorbers Line) coming from the factory in Vittorio Veneto in the province of Treviso. Special range of wiper blades for passenger cars and light commercial vehicles with lengths from 280mm to 600mm, with or without spoiler. 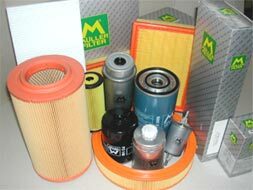 Muller Filters - A complete range of automotive filters that satisfies the main European and Asiatic applications. Baldwin Filters – Baldwin filters is a worldwide manufacturer of heavy duty filters. With over 4800 products for Air, Lube, Fuel, Coolant, Transmission and Hydraulic, Baldwin provides heavy duty protection. The Hengst company manufactures modern filter systems. A company with a long tradition, Hengst is an innovative development partner and recognized system supplier for the automotive and engine industries. KUPP - Automotive brake components, constant velocity joints and water pumps. M.A.D. Di Pina Roberto - Full range of interior exterior car accessories. IPS – International Parts Service - Parts for Japanese, Korean, and American cars. Metal – Rubber – Plastic parts for cooling systems, suspension, engine and exhaust.